State Mining Corporation STAMICO is now in control of the Tulawaka Gold Mine after successfully acquiring it from African Barrick Gold (ABG). The gold mine located in Tulawaka, Kagara Region of North Tanzania is to be transferred to STAMICO as agreed by the two companies in November 2013. Initially Tulawaka was a joint venture between ABG with 70% economic interest and Canadian mining company MDN possessing the remaining ownership. 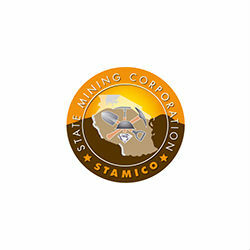 Following the new deal, STAMICO will now take on ownership and management of the mine. Mr Gray Mwalukwa, Director General of STAMICO confirmed that that a cash payment of USD 11.6 million was now complete and also added that STAMICO has begun preparations to explore nine other prospective areas in Tanzania. Tanzania ranks as Africa’s fourth largest producer behind South Africa, Ghana and Mali, with current total gold production at 40 tonnes a year, according to the Tanzania Chamber of Minerals and Energy.